Scott Baumstein was all in on a J-T-x-T board holding Q-J, but was out-turned by Erik Cajelais's A-T. 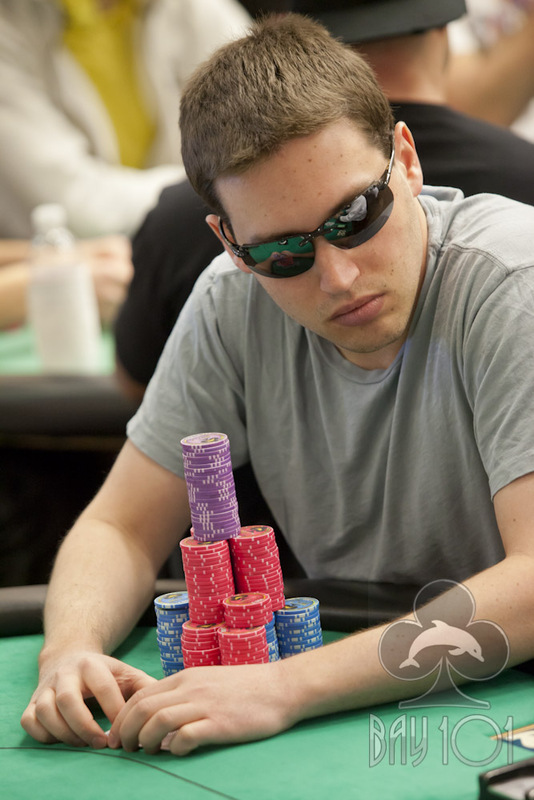 The river did not deliver the miracle two outer for Scott, and he will exit this tournament in 8th place, good for $64,000. The remaining seven players are now redrawing for seats at the unofficial final table. They will play until they lose one more player, and then play will be complete for the day. The final table will return tomorrow at 4pm to play on the World Poker Tour TV table.